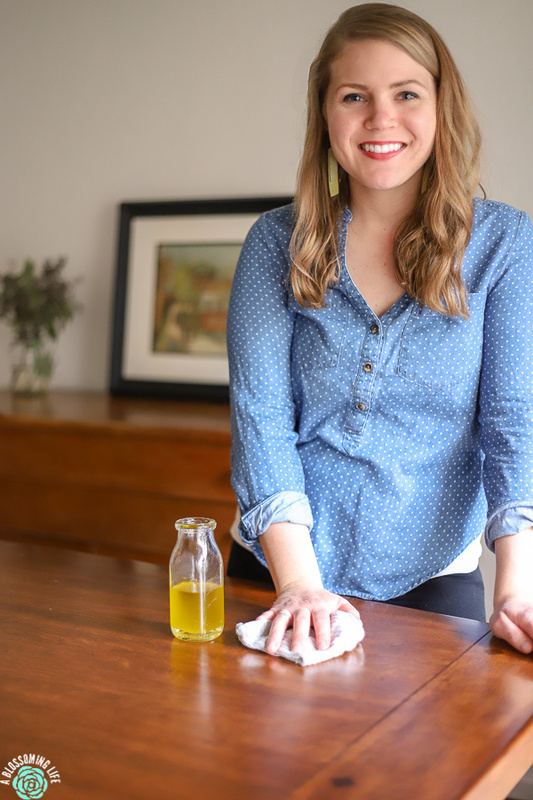 Create this super simple, natural, homemade furniture polish to clean, polish, and protect your wood furniture without harmful ingredients or fumes. It takes just a minute to create this natural wood furniture polish. Follow my tips below to get your wood furniture looking beautiful. 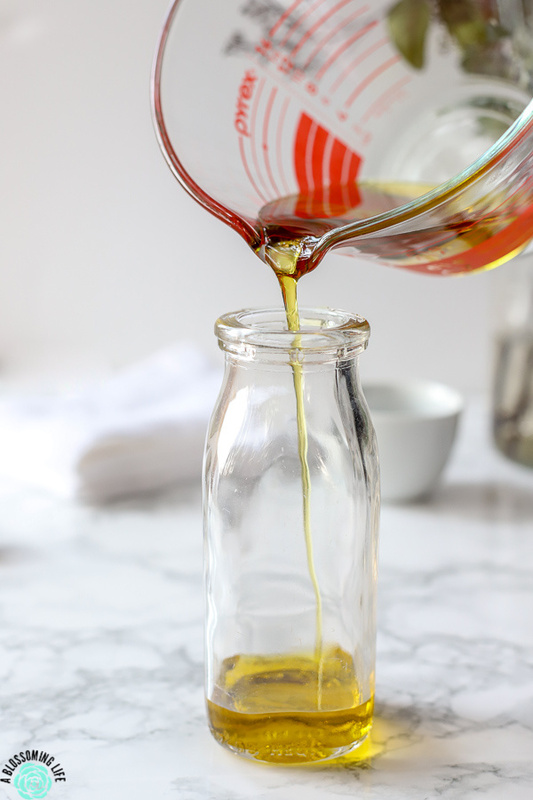 What you will need: oil, vinegar, essential oils (optional), and a storage container. Growing up, I rarely had to clean or do chores, so the learning curve over here was pretty high. But one thing I loved doing was dusting. Instant satisfaction. You wipe it on, and it makes wood sparkly. And if you got it on the wood floor on “accident,” you’d have an instant skating rink, sliding all over the floor with socks. Now as an adult, polishing the furniture used to be last on my list of chores. And since we only use natural cleaners over here (you can see more about what I use and how to use it here), if I was going to do it, I knew I had to make one myself. One of my wood pieces was looking so ridiculously sad and worn and old, so I figured it was time. That, and a friend who is switching over to natural cleaners asked for a natural furniture polish recipe. Here you go friend, because I love you. You will be shocked at how easy this homemade furniture polish is to make, and how well it works. What is wrong with conventional furniture polish? If you do a quick search on EWG website, you’ll be shocked how many of the products are rated C-F. We talk a lot about how harmful synthetic fragrances are, but there are other ingredients in conventional cleaning products that can be harmful. Many contain silicon compounds, which have been shown to cause possible endocrine, developmental, and reproductive issues. C12-20 isoparaffin has a high concern for cancer, and some concern for developmental, reproductive, and environmental toxicity. I could go through all the ingredients and what possible issues they may cause (cancer, allergies, toxicity), but I won’t. If you are interested, head over to EWG, browse through the conventional products, and be appalled. You will see many of them have terrible ratings and terrible ingredients. Skip that stuff and make this natural wood furniture polish instead. Olive Oil (like this one): adds moisture and helps protect the wood. Many recipes include mineral oil, which is a petroleum-based product; therefore, I avoid it. 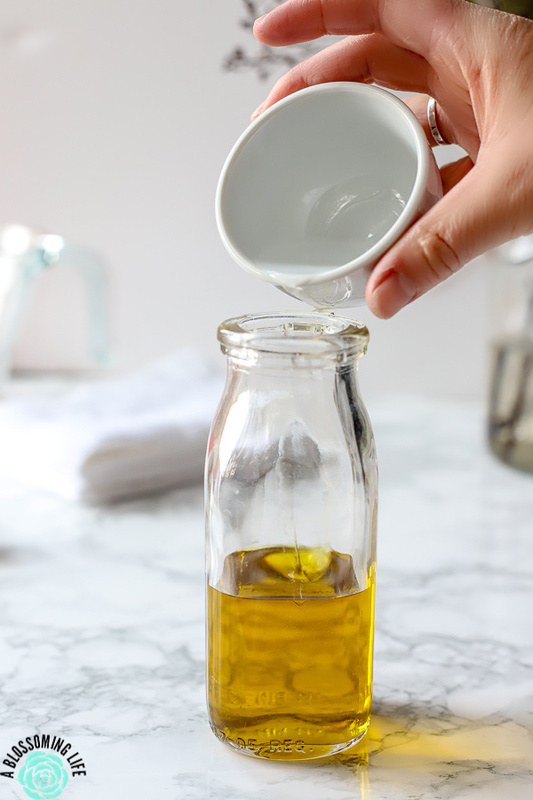 If you are worried about the olive oil going rancid, then just make this homemade furniture polish in small batches, which is how I do it and how it is included below. Vinegar: helps clean and remove grime from wood surfaces. Essential oils (I use this one): they smell pretty. Clean doesn’t actually have a smell, but so many people are used to having that smell, and who doesn’t love for things to smell nice? Just be sure to only use pure essential oils. If your wood surface is really dirty, I suggest you clean the surface first with a natural all-purpose cleaner. and then use this wood furniture polish. Change up the scent with your favorite essential oil. Use reusable cleaning cloths (typically I use dish clothes) to be even more eco-friendly. For darker woods, you could also use apple cider vinegar, but white vinegar will also work. Do you have to use lemon essential oils? No, you could leave it out or use another citrus oil, or even just one you think smells pretty. I’ve also used grapefruit, which is delightful. What types of oils can I use? 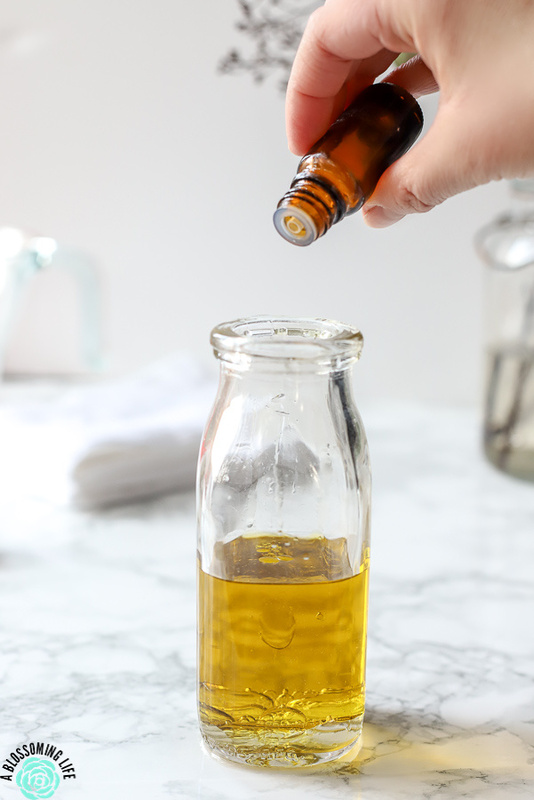 You can use olive oil, avocado oil, or jojoba oil. You possibly could use others but this is what I have on hand. 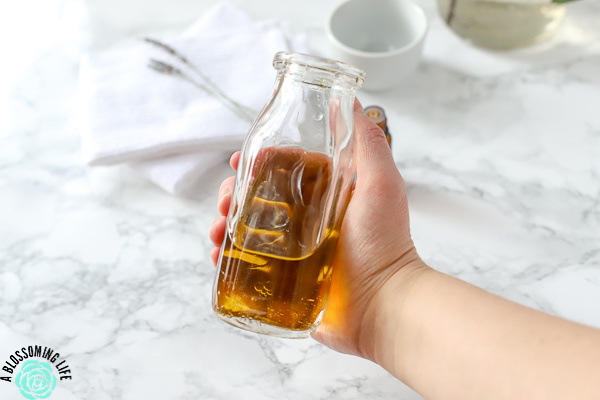 In a container, fill it with oil, vinegar, and essential oils. That is it. All done. So simple, right? How do you use Homemade Furniture Polish? Shake the homemade furniture polish well and apply to a clean cloth. Rub on furniture. 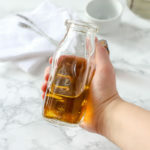 This product will clean and polish at the same time, but if you have a super dirty wood piece of furniture, I would suggest cleaning it first with a natural cleaner, then follow it with this homemade furniture polish. Want more natural recipes and cleaning tips? Check these out! Homemade deodorant is a go-to. Why you should get a water filter – And my favorite one. Learn how to make this homemade furniture polish that will clean, polish, and protect your wood furniture without harmful ingredients or fumes. Simple and natural homemade furniture polish to clean, polish, and protect your wood furniture without harmful ingredients or fumes. Mix ingredients in a jar. Shake well and dip clean cloth. Wipe onto wood surface. A little goes a long way. I like to rub it onto the wood surface and then go over it with a new clean towel to rub in or remove any extra oil. With any cleaning product it's always good to test a small surface first to make sure it is compatable. This product will clean also, but for really dirty surfaces I suggest cleaning the surface with a wood safe natural all purpose cleaner first than follow it with this furniture polish. 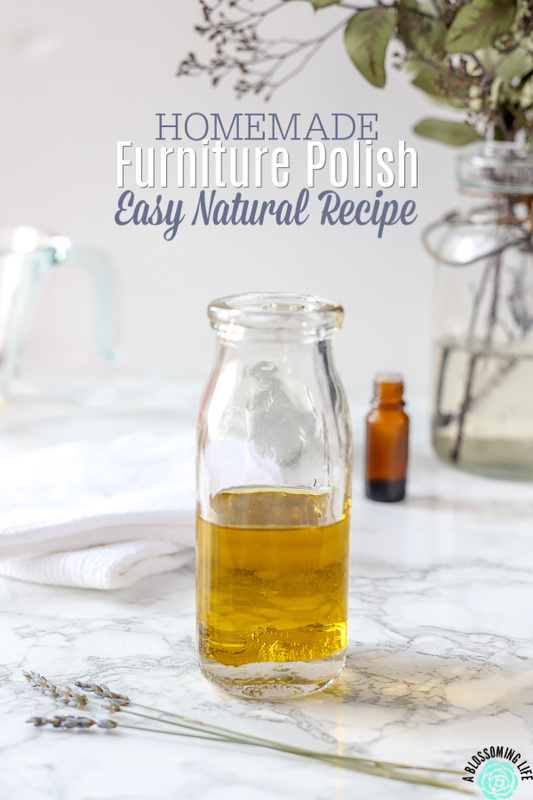 Have you tried making homemade furniture polish? I love your blog! I also subscribed to your YouTube channel. 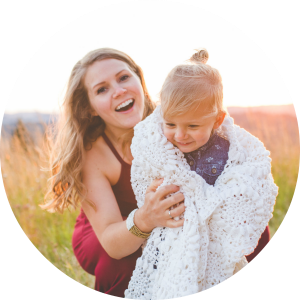 I am also following the Natural Living Group board on Pinterest. I have tried this furniture polish and I just love it. Thanks for the share! Thank you so much Jersey! I really appreciate it. And I’m so glad you like it. I love how olive oil shines up older wood. Great suggestions! I love this idea because there’s no waste, no plastic etc! Yes! Cheap and more sustainable. My two favorite things ha. The best way is the natural way. No harmful chemicals to breathe.